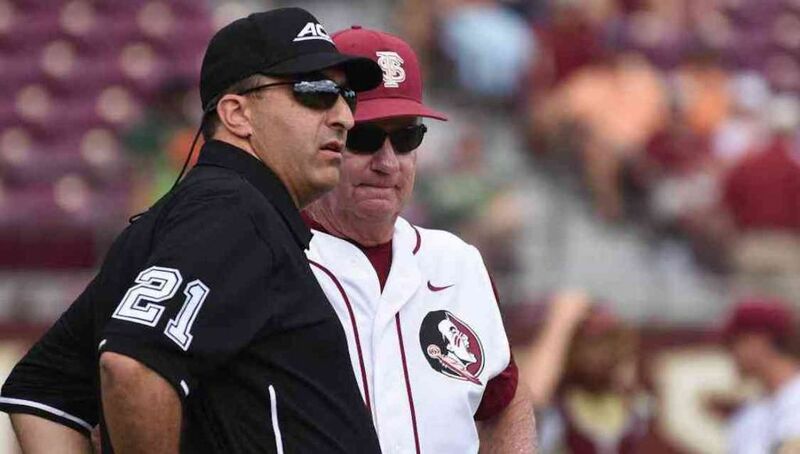 DURHAM, N.C. – Fourth-seeded Florida State (34-19, 16-10 ACC) begins its defense of its ACC Tournament crown when it opens the 2016 ACC Baseball Championship on Wednesday at 11 a.m. against fifth-seeded NC State (34-18, 15-13 ACC) at the Durham Bulls Athletic Park in Durham, N.C.
FSU is featured in Pool A along with Boston College, Georgia Tech and Miami. Pool B consists of Louisville, Virginia, Clemson, Duke and Wake Forest. The two teams with the best records within their respective pools will advance to the title game on Sunday, May 29, with the winner earning the ACC’s automatic bid into the NCAA Tournament. The Seminoles and NC State have gone head-to-head 17 times in the ACC Tournament since FSU joined the conference in 1992. That includes a meeting in the 2015 ACC championship, which the Seminoles won, 3-1, due in large part to John Sansone’s three-run home run in the third. Florida State defeated the Wolfpack 8-5 behind a combined five RBI from Cal Raleigh and Jackson Lueck in the only meeting between the two teams this season. The two remaining games were cancelled due to weather. After their clash with NC State, the Noles will then face Tuesday’s play-in winner, ninth-seeded Georgia Tech (36-20, 13-16), on Thursday at 3 p.m. The Seminoles complete pool play on Saturday against the regular-season champion Miami Hurricanes (43-10, 21-7) at 11 a.m.
FSU’s Drew Carlton (6-3, 4.07 ERA) will make his 15th start, and first against the Wolfpack, of the 2016 campaign on Wednesday morning. Freshman Cole Sands (4-6, 4.63 ERA) is slated to start Thursday’s contest and Tyler Holton (2-3, 2.94) closes out Pool A play on Saturday against Miami. FSU enters the tournament as the No. 4 seed for the fourth time in program history (1994, 2005 and 2015). It is also the second time in as many seasons that the Noles have earned the fourth seed in Durham (2015). Florida State is 69-39 all-time ACC in tournament play, while posting a record of 23-18 in nine previous tournament appearances held in the state of North Carolina. The Seminoles were a perfect 4-0 en route to their sixth ACC tournament championship a year ago in Durham. The 2016 ACC Baseball Championship marks the 11th time the tournament has been held in the state of North Carolina since FSU joined the league in 1992. The Seminoles are 7-4 all-time when holding the No. 4 seed in the tournament. Regional Sports Networks from across the conference footprint and the nation will carry all 14 games on Tuesday through Saturday. All games will also be available on ESPN3. In addition, the games on Tuesday through Saturday will be broadcast via satellite radio on Sirius 106/XM 193, while Sunday’s championship will be on SiriusXM College Sports National Channel 84. Fans can also listen to every game of the ACC Tournament on 106.1 FM in Tallahassee and free of charge on Seminoles.com and the Florida State Seminoles Game Day app.